Photographer Araki Hayato posted on his Twitter and Instagram a two-shot taken with Kento who visited his photo exhibition yesterday. 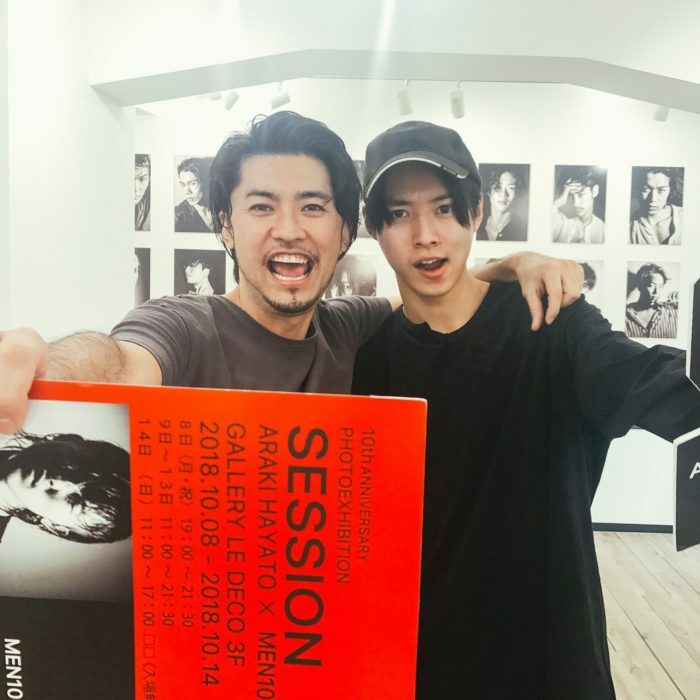 Araki was the photographer for Kento’s most recent photobook “Scene 20”, released 3 years ago. More recently, he also did Kento’s 2017 calendar shoot. A fan also shared a photo of congratulatory flowers sent from Kento to Araki. The photo exhibition runs till 14 Oct.
P.S. He is so Hirotaka now ne… that hair and face shape lol.